After just one year in office, President Trump and his advisers believe they are ready to begin a re-election campaign. It doesn’t matter if their policies are undermined by blunders or that the justice carries out an investigation for alleged collusion with a foreign agent to influence national democracy; the important thing for the tycoon is to maintain his roots, and the best way to start is with the elections this November. According to the Washington Post, President Trump named his former digital strategist during the 2016 campaign, Brad Parscale, as his new campaign director for the 2020 elections. His appointment was announced through an email sent by the Trump Campaign to all his supporters, ensuring that Parscale "will help build out the campaign’s infrastructure and be engaged in supporting candidates in the midterm elections this fall". With 42 years, Brad Parscale is known as "a guru of digital media," as the BBC outlined, having worked with Trump's presidential project since its early stages in 2015, later becoming the digital director of the entire campaign. The president's son, Eric Trump, told the media that Parscale's talent "was pivotal to our success in 2016." His appointment suggests that the new campaign will play safe - working with those who better understand the situation - but it would also mean that it will be an effort independent of the guidelines within the Republican Party, according to the report. Moreover, the campaign promises more insensitivity. Just two days ago, CNN reported a Trump campaign maneuver that used the photo of one of the Parkland shooting survivors on February 14 as an illustration for their fundraising. In an attempt of vile political manipulation, the text that accompanied the photo read: "The President has made his intent very clear: 'making our schools and our children safer will be our top priority'", following a link for the donation to the campaign. 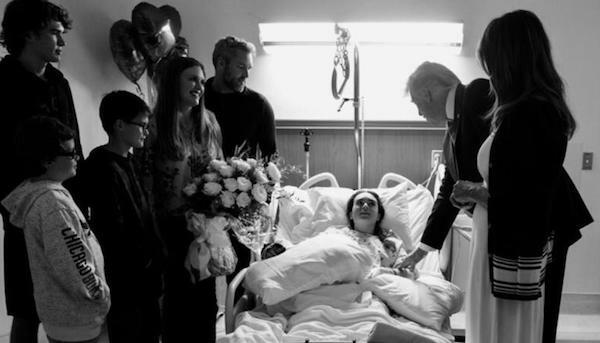 The image accompanying the email of the Trump Campaign, where Madeleine Wilford, 17, appears in a hospital bed surrounded by her family, Trump and the first lady. The president visited Wilford on February 16, two days after the attack on Marjory Stoneman Douglas High School, which left 17 dead. Source: CNN. After the accusations of the NRA spokeswoman, Dana Loesch, in which she blamed media like CNN for taking advantage of the tragedies to add ratings, the Trump Campaign’s maneuver only adds inconsistencies. While Trump has bet for re-election from his first day in office (literally started his paperwork in the Federal Elections Commission on January 20, 2017), the machinery of his Campaign - which opened 2018 with $22 million base thanks to the digital fundraising work carried out by Parscale himself - is willing to do anything to avoid losing ground in the midterm elections.